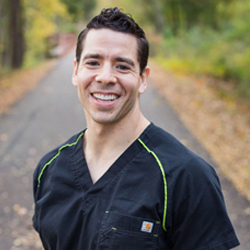 At Paris Family Dental, we’re committed to making patients for life. We know that providing thorough, detailed and gentle care is what makes our patients happy and what has them referring so many family and friends to us. We offer every dental need, from general dentistry to cosmetic and restorative dentistry. We specialize in implants, veneers, invisible braces, inlays and onlays, root canals, bridges and partials, dentures, periodontics (gum and bone health), and much more. Our mission is to positively impact each and every patient that comes to our practice. Our entire team is dedicated to providing care that is patient-centered and focuses only on what benefits you best. Our practice philosophy is to provide dental care that reflects honesty, integrity, respect, and professionalism. We set ourselves apart from other dental practices by treating our patients with the utmost respect and listening to their concerns, needs, and ideas. We always take the time to educate our patients on their oral health needs, options, and risks involved in any treatment. Each patient’s time is important to us and we prove that by providing timely dental care. Above all, the way our team provides dental care will always reflect respect, individuality, and self-worth. As professionals, our doctor and staff are committed to honesty, integrity, respect, and professionalism with our patients and within our personal lives. Patients are treated as individuals, whose voice matters. Each patient deserves to be educated about their oral health and to have open and honest communication about their oral health. Our office has the duty of informing patients of any risks, benefits and alternatives to any treatment so the patient can effectively make the decision that is best for their health. Our patients’ time is important, which will be reflected in the timeliness of our care. Because our patients deserve excellence in care, treatment will be personalized to meet individual oral health and esthetics goals. The way the doctor and staff interact with the patient will reflect respect, individuality, and self-worth.